The Bachmann M1 controller perfectly combines the openness of a PC-based controller with the reliability of industrial hardware platforms. Designed to withstand the toughest ambient conditions it guarantees error-free use over long periods of time, at subzero temperatures and without fans. A modern system architecture designed for consistent network-capability permits the easy integration of the M1 into the environment of the controller and system peripherals. Real-time ethernet permits the real-time networking of the controllers, and the support of all standard Fieldbus systems permits the connection of standard external components. Bachmann M1 Controller with I/O modules. If your module is unsupported please contact Controllab Products B.V. for more information. In order to use the Bachmann target from 20-sim, choose the 20-sim 4C C-Code target. If the "20-sim 4C 2.1" target is not listed, the target needs to be added. 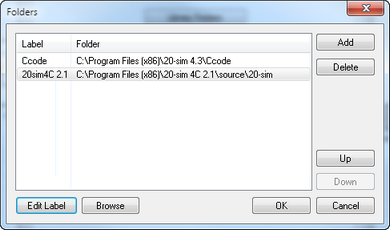 Add the C-Code generation template path to the C-code Folders. In order to set the time base for your application take note of the following guidelines. 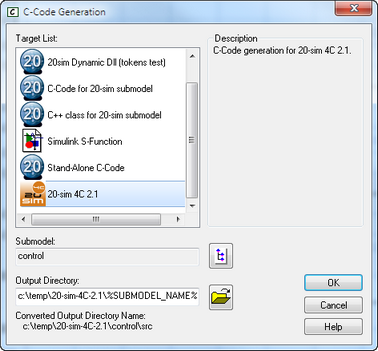 •Set the desired step size in the Run Properties dialog of 20-sim for simulation. •The step size can be changed in the Configure Run settings in 20-sim 4C. oTicks / second : Set at least as high as the frequency of your application preferably higher. e.g. application frequency is 500 Hz, set the "Ticks / second" to 2000 and "Ticks / Timeslice" to 2, this will amount to 1000Hz per operating system task. 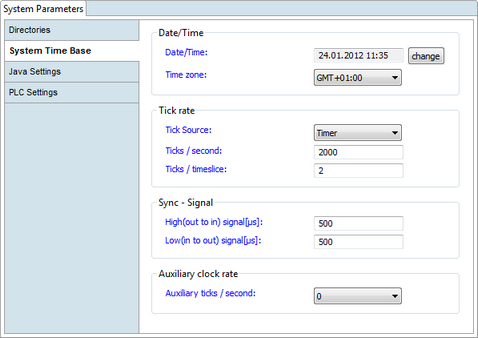 oSync - Signal : Set both times to the same value. The value needs to be an exact multiple of the step size. During application initialization (on the M1 target) the time base is initialized of no extract multiple can be found, the application will be terminated! As example consider a step size of 0.002 s. This is 2000 us and this is exact multiplier of 4 times 500 us. 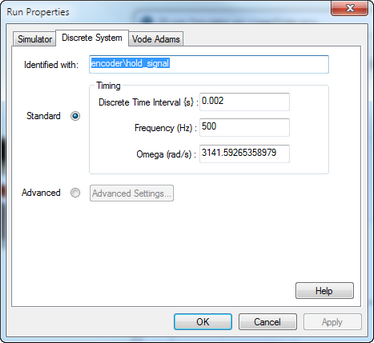 The following example shows the 20-sim Run Properties dialog configuration for an application that runs at 500Hz. If the step size does not match an exact multiple of the Sync - Signal the application will be terminated. The following message will appear in 20-sim 4C. In this case the application/module name is testio. Q) Error that a SVI variable exceeds 63 characters. A) Set the system compatibility in the mconfig.ini to "Compatibility = 320"
Q) My output is not reset when the model is stopped. A) Make sure that your Bachmann configuration (tcf) contains a <CLOSE> and <DESTRUCT> tag for proper closing of the component.